The Orient, meaning present-day regions of North Africa, the Middle East, Greece and Turkey have long since teased the imagination of Western artists even before the 19th century. In the works of Baroque and Renaissance artists such as Rembrandt, Veronese and Bellini were figures that wore Middle Eastern dress. It was compelling considering that the West at that time only had contact with the East through military campaigns and trade. The invasion and eventual occupation of Egypt by Napoleon Bonaparte lured Western travelers to the Middle and Near East and their journeys were captured on print and paintings. With the publication of Description de l’Égypte, it influenced the decorative arts and architecture during the early part of the 1800s. Some of the first Orientalist paintings done in the 19th century were used as propaganda materials to laud French imperialism, representing the East as a region of barbarism, lawlessness and backwardness, and that the French rulers were the ones to tame them. Examples of painting in this style include the “Plague House at Jaffa” that was done by Antoine-Jean Gros who had never set foot on the Near East. Romantic Movement proponent Eugène Delacroix also used themes of cruelty and violence in some of his Oriental works, such as the Death of Sardanapalus and the Massacre at Chios. 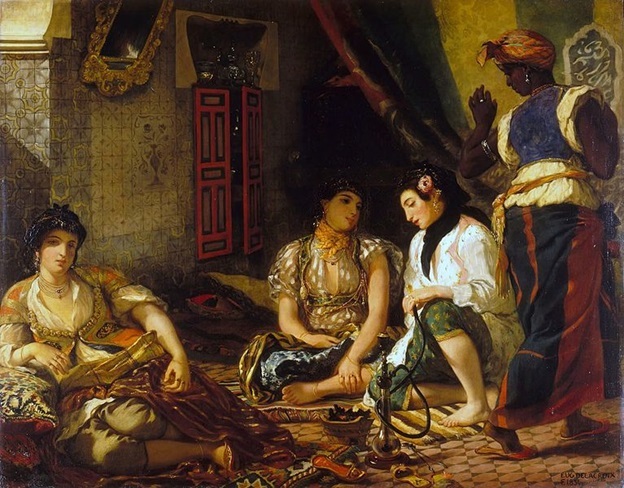 However, Delacroix and other artists such as William Holman Hunt, Alexandre-Gabriel Decamps, Théodore Chassériau and Jean-Léon Gérôme traveled to the East to experience firsthand the daily lifestyle of the people there, rather than rely on official literature and published travel guides. Their experience could be seen in their genre paintings, which was the Orientalist art form that became prevalent in the 19th century. Gérôme did several paintings with Turkish mercenary soldier (bashi-bazouk) as the central figure, often shown doing their routine or leisure activities. Some artists opted to stay in the Orient for longer periods, which shaped their impression about the locale and its people, leading to the creation of history paintings and genre paintings showing scenes of maternity, religious piety and domesticity, exemplified by “Prayer in the Mosque” by Gérôme and “Scene in the Jewish Quarter of Constantine” by Chassériau. Orientalism became a major art movement for more than a century and influenced works of hundreds of artists not only from Europe but from America and Australia as well. They created not only history and genre paintings, but also landscapes, flora and fauna and religious works. One scene that many became interested at was the harem scenes, where artists used their imagination and hearsay, since they were denied entry to the real seraglios. They depicted richly and elaborately decorated interiors with voluptuous odalisques and concubines. The movement still exerted its influence well into the 20th century, inspiring the works of modern artists such as Oskar Kokoschka, August Macke, Vasily Kandinsky and Paul Klee, as well as Henri Matisse and Auguste Renoir. Orientalism had various names as it influenced the design and architecture in Europe for several centuries. The adapted the Islamic arabesque in Renaissance ornaments, calling it “Moresque style,” particularly in bookbinding works. Motifs from the Indian subcontinent were emulated and applied to early architecture as “Hindoo style.” Interest in the Ottoman Empire was shown with the adoption of Turkish costumes and decorative art, which led to the “Turquerie style” from the late 15th century. “Chinoiserie” defined all things Chinese when Europe got fascinated with Chinese themes, shown in decorations used in Western Europe from the Renaissance to mid-18th century, when they tried to imitate the creation of fine Chinese ceramics, tin-glazed pottery and the highly popular blue and white Ming pottery. 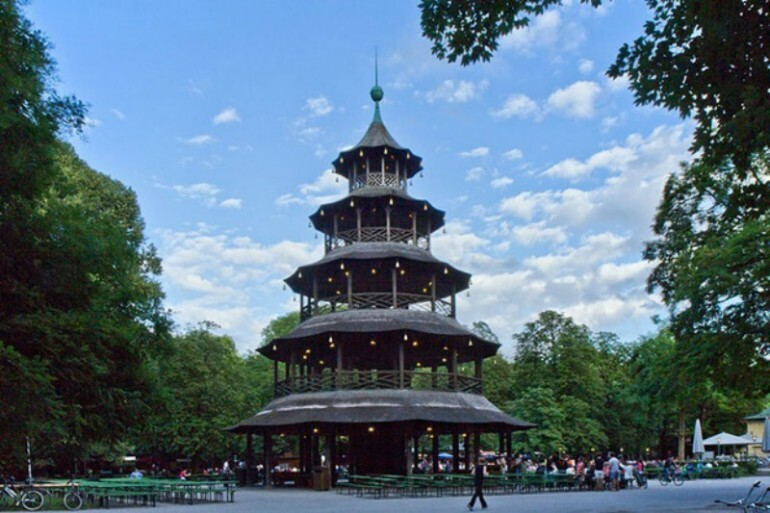 Chinoiserie also extended to architecture, with the creation of buildings and other structures with a definite Chinese design influence such as those found in Kew and the Chinesischer Turm in Munich. “Japonisme” came about when Japanese woodblocks or ukiyo-e were imported. Japanese art influenced some of the works of Mary Cassatt, Degas and Monet. The Japanese influence could be seen in the “Peacock Room” of James McNeill Whistler. It also had an influence in architecture, such as the Gamble House in Pasadena, California that was designed by Greene and Greene in 1908.